Aristo Developers, a Cyprus property development company, was the subject of a question raised in the European Parliament by Syed Kamall MEP for London who is seeking advice for one of his constituents. I HAVE been contacted by a constituent who, in 2004, was introduced to Aristo Developers, one of Cyprus’ biggest land developers, about an off-plan development in Southern Cyprus, Limassol Star. Following this introduction, my constituent, along with a number of others, bought a property off-plan in the Limassol Star development. The plans also detailed a range of communal facilities which my constituent understood would be provided as set out in the development plans. As the development of the site proceeded, it became clear that the communal facilities and layout had been significantly altered from the plans. My constituent claims that Aristo Developers reduced the size of the swimming pool and surrounding grounds and that they also replaced the communal clubhouse with a small kiosk, so that they could make room for two more villas in what had been designated as a communal area. My constituent believes that Aristo Developers changed the development plans without consulting property owners. He has since established a legal action group with fellow property owners to pursue this matter in the courts. The group have obtained an engineer’s report that confirms the changes to the site after they agreed the plans and an independent surveyor’s report outlining the effect these changes may have had on both the resale value and rental potential of their properties. Could the Commission confirm if it can provide any support to my constituent with this matter or if it can advise him on whom to approach for support, given that the legal action group have met considerable resistance in progressing their case in the court in Cyprus. Syed Kamall has been an MEP for London since 2005 and has worked on several issues promoting individual liberty, limited government and free trade. Syed co-founded the Brussels Network monthly meetings, which brings together market-orientated think tanks, politicians and industry encouraging coalitions and ways of working together. My sympathies to Steve Redmond. I know of a similar case involving Sun Gain Estates in Paphos District about 3-4 years ago. The three directors were all English. I was asked to investigate and assist after a couple had been unable to get a progress report on the building work. They had bought 4 apartments off-plan on a large development and had put down 50kCy as first stage payment. The developers never had planning permission and the work never started. I discovered a devil’s feast of various parties complicit in the mess: the high profile Cypriot lawyer of record had washed his hands of it all; the local estate agent acting for the developer had creamed off all his sales commissions; the buyers’ IFA had had his cut; there was not enough money left to start building even if retrospective planning permission could be obtained; – oh, and the Sun Gain directors had shut up shop in Cyprus and run off abroad with the money. New Cypriot lawyers did trace two of the directors to Norwich but they refused to accept any registered letters, writs etc from Cyprus. The MD has not been traced (so far). I understand that Sun Gain is now in liquidation. The above case and some others are cited in my two-part article Castles Built on Sand in Cyprus Financial Mirror. Pt 1 is current, Pt 2 is out on Wednesday. They will also appear on this website. AT LAST. The EU has started to get involved and well done to Syed. The scams involving property developers doesnt involve just Cyriot companys. I am a victim of an English developer who has taken advantage of the slack laws in Cyprus and has left the island with a nice pocket full of money leaving people with their dreams and life savings in tatters. The hardest thing now is to try and find a solicitor who is willing to stand up and be counted. If one were to be found then he could have no end of foreign buyers on his books. I will be watching this space with baited breath. Aristo Developers is a very slick, professional operation and I very much doubt if they have left the door open to successful litigation or interference from politicians. Most UK buyers are like donkeys being fed carrots; they don’t look after themselves or find someone else who will do it for them, because that costs money. It is standard practice on Aristo site plans to see in small print a statement to the effect that the individual units being sold will be built to the agreed specifications and plans, however the rest of the development, including the common property and other features such as boundaries can be varied. This is how new owners find themselves looking over public footpaths, roadways and high retaining walls that are not as on the original plans. There is nothing that London MEP’s or anyone else can do about this. It is legal and is watertight. This is Cyprus not London. This is what everyone should be doing when the question of liars, cheats and dishonesty is found in the Cyprus construction industry. Complain, complain and complain up to the highest level. If you leave it in Cyprus, nothing will get done so take it to the European courts and these crooks will find there is no hiding place from their shady deals. This is the norm for Cyprus, changes are made with no consultation with the buyers, properties turned to face the opposite way, smaller plots, smaller buildings, and not a word to the buyers, try sorting it out, you have no chance, unless you want to bankrupt yourself. Praise indeed for our MEP’s who are taking up all the issues within the Cypriot property market at the EU parliament, I feel that eventually the EU will have to commission a Minister to investigate all these issues and I and many others cannot wait for that day to come. I hope it results in cuts of EU funding until the government sorts its corrupt legal system, greedy banks, and robbing developers. 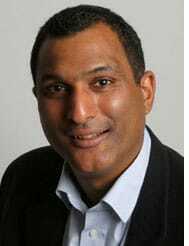 Many thanks to Mr Kamall for his support; we wait in anticipation of the Commission’s reply.